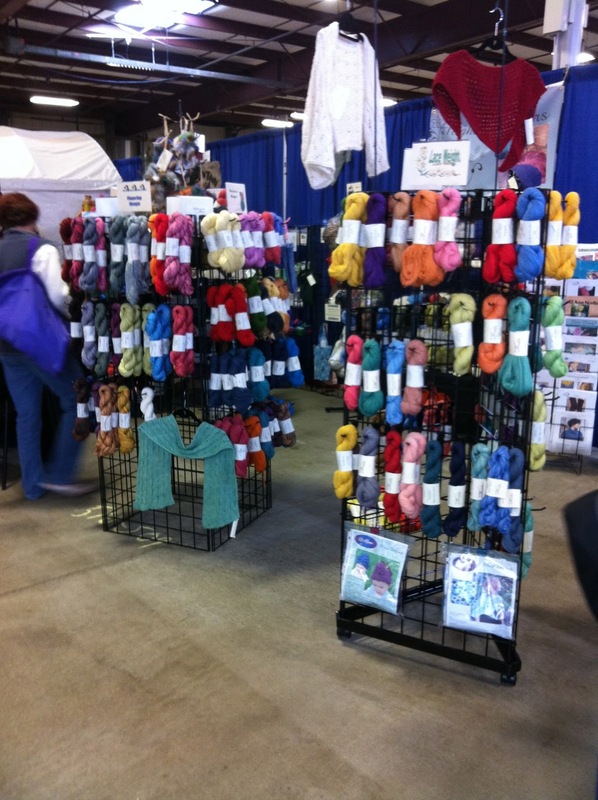 Adorkable Aimee: So much yarn, so little time! 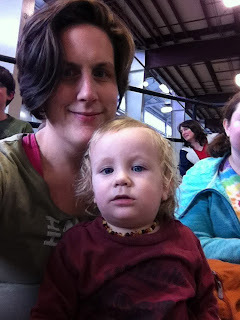 Today Michy, the munchkin, and I went to the New England Fiber Festival. So much wonderful yarn! Plus roving, and whole fleeces, and alpacas, sheep, and bunnies! At every booth I thought "I need to make one of these," or "I need to learn how to do this" or "I can't wait to go home and knit!" The Fiber Festival is held at the Big E facility, so they had a ton of space. There were rows and rows of vendors selling everything related to fiber arts... even animals. Someday I would love to have enough space to have alpacas. 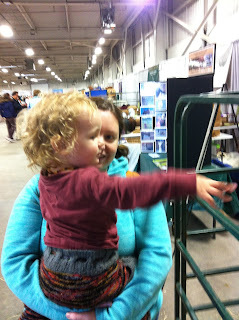 Its always been one of my retirement dreams- to have a small farm where I can raise some animals and spin my own yarn. I don't know how practical a goal that is... but I enjoy the fantasy. I picked up a pair of circular needles in a size I didn't have for a technique I want to try with some gorgeous yarn I recently got from the Mosaic Moon Doctor Who yarn club. Amazingly that was the only thing I bought... but I could have easily spent hundreds! SO much beautiful yarn, but I exercised restraint since I still have about 5 projects I want to finish by the holidays. Next year I'm planning ahead and saving some cash. One thing I definitely want to try is yarn dying, and I saw these great Eco-friendly dyes by Greener Shades. 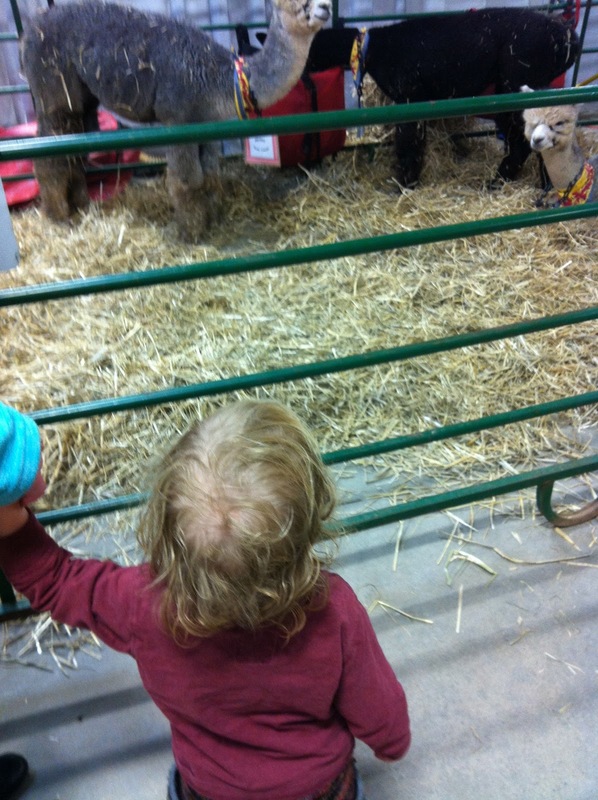 The munchkin loved the vendors with animals. 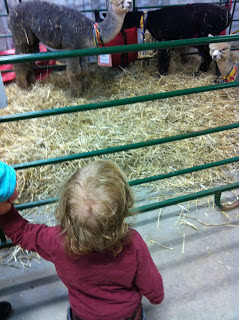 He was so excited to see the sheep, alpaca, and bunnies. 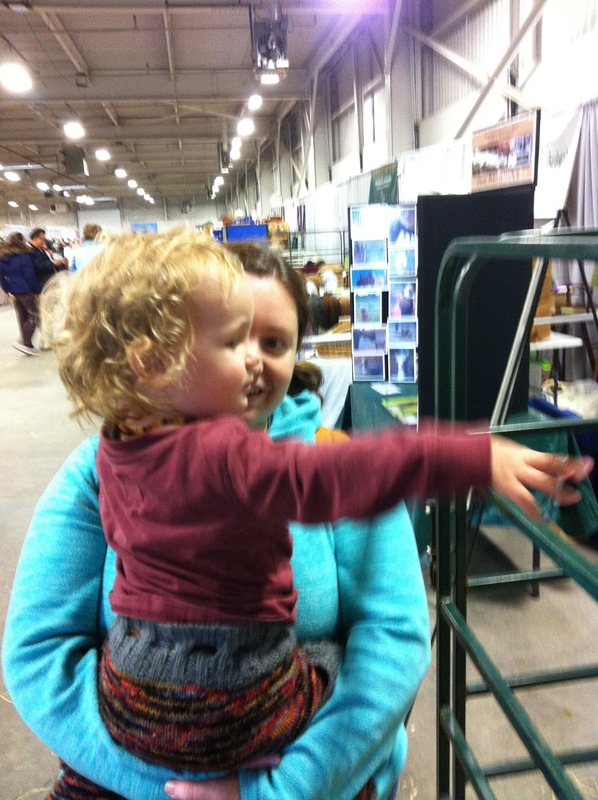 Waving hello to some sheep. 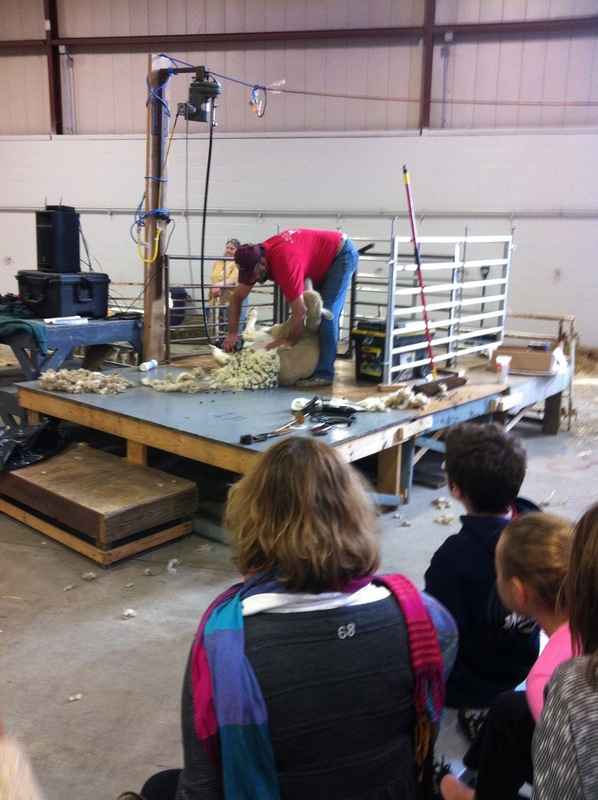 After we checked out all the vendors we saw watched a demo on sheep shearing. It was actually pretty interesting to here the history of sheep shearing and watch his technique. Now that we are home, I'm working on a pair of fingerless gloves... trying to fly through them so I can get to the next project. I'm a buzz with ideas and all I want to do is knit. 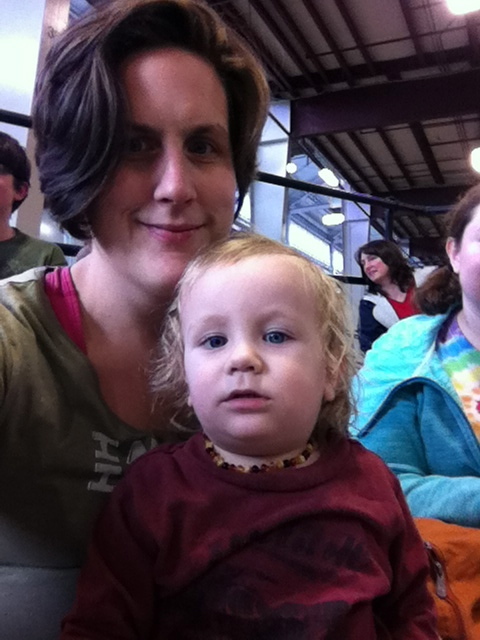 I'm a thirty-something, queer, poly, geeky, mostly-crunchy mama to an adorable toddler trying to balance work, relationships, and parenthood. For my day job I am a lawyer with my own small practice. I also do some crafting- I knit and sew. I've recently taken a doula training course and am looking to get my certification births so I can get certified by DONA. My posts directly to you.